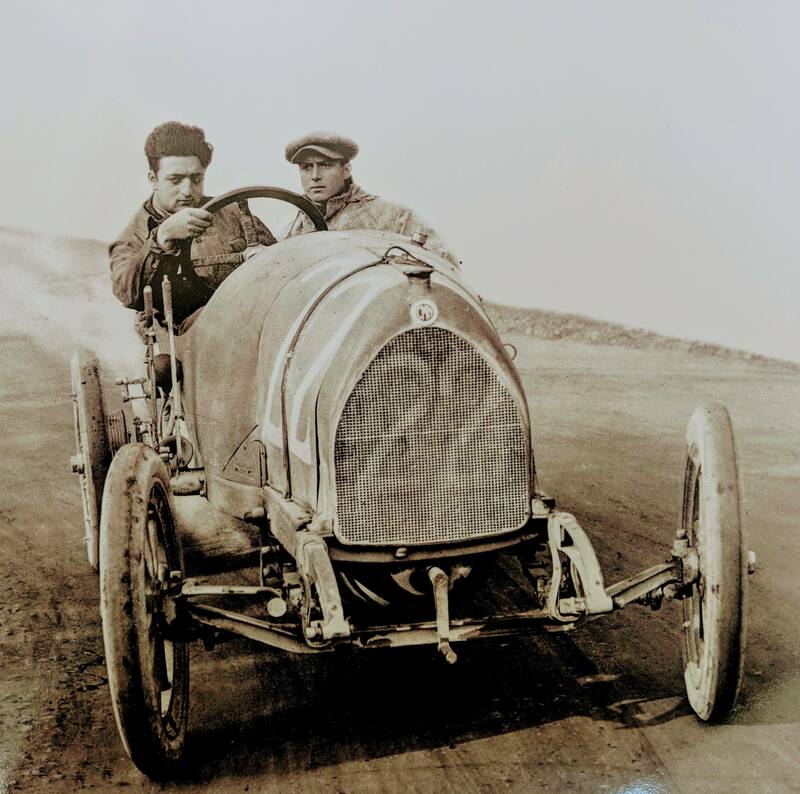 [History] Enzo Ferrari in his first ever race as a professional driver for C.M.N. (Costruzioni Meccaniche Nazionali), Parma-Poggio di Berceto hillclimb race, 1919. He finished fourth.